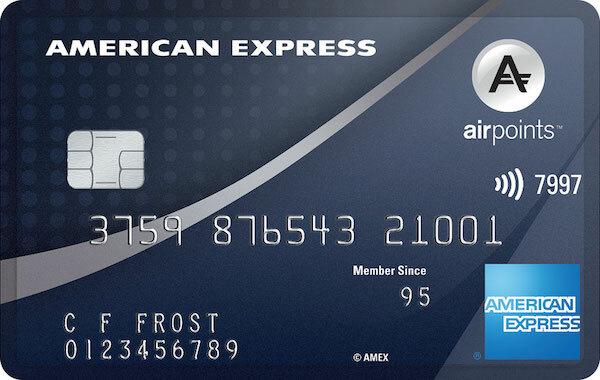 Asia Miles continues to be an appealing frequent flyer program for New Zealand points collectors, with a wide range of points earn partners—including with American Express Membership Rewards. The program is not without its intricacies and quirks, though, and you have to understand the various ins and outs when you come to make an Asia Miles redemption. In this guide, we’ll show you how to redeem Asia Miles effectively, including how and where to search for availability, and a range of other tips and tricks for using your Asia Miles. 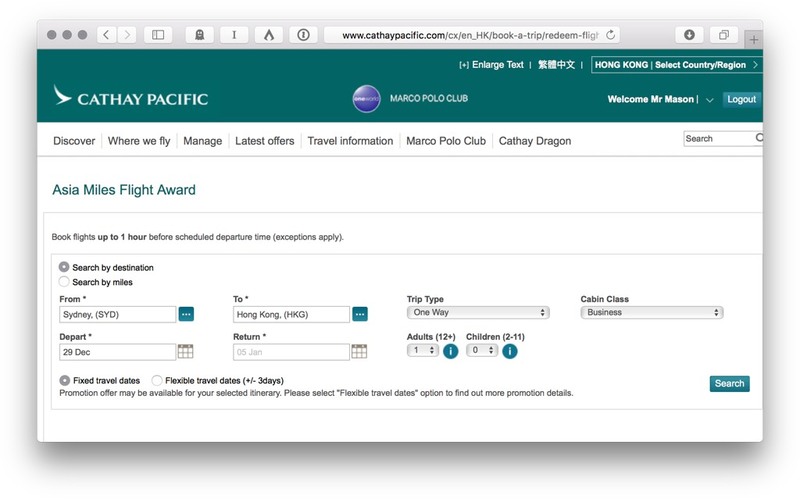 Asia Miles is Cathay Pacific’s frequent flyer points program – for status, you’ll need to look at the Marco Polo Club. 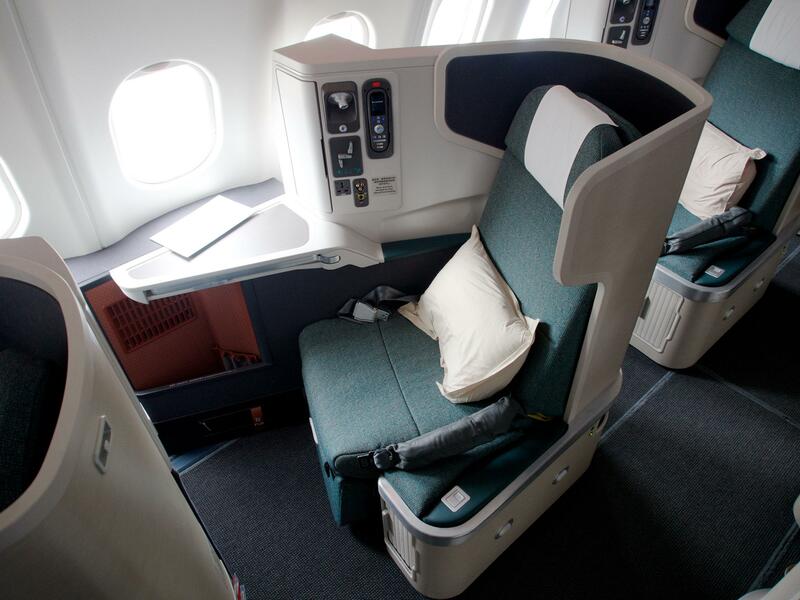 Asia Miles are great value for long-haul return Premium Economy, Business Class or First Class itineraries with Cathay Pacific and/or their oneworld partners. 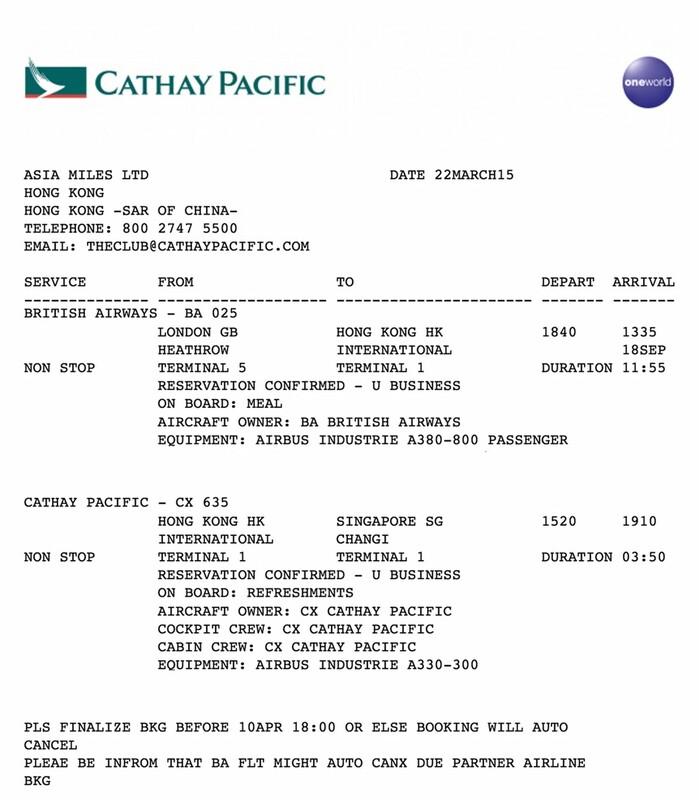 Redemptions using Asia Miles generally need to be made over the phone, however, Asia Miles also offer simpler bookings on Cathay Pacific, Qantas, Qatar Airways, Finnair and British Airways without having to call the Asia Miles call centre. By ‘simpler’, I mean that online booking only prices itineraries using the Asia Miles partner award chart, not the more expensive but also more lucrative for complex itineraries, ‘multi-carrier’ award chart. 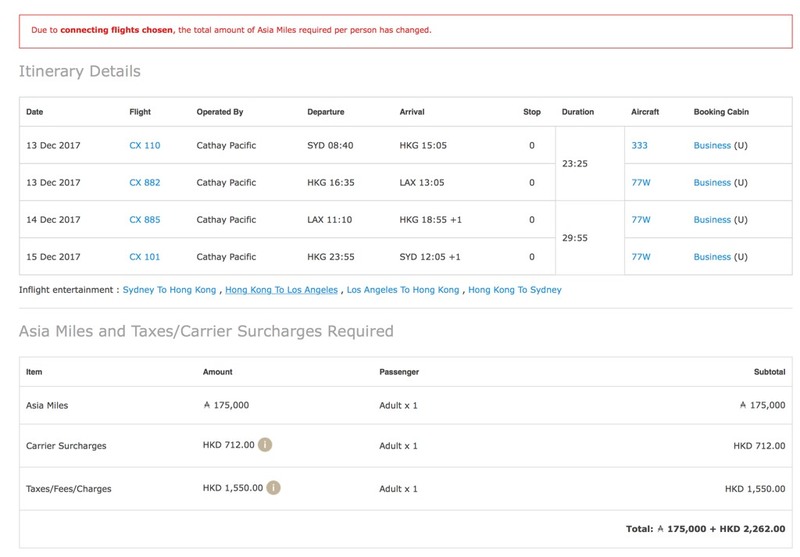 For online bookings, start by either by using cathaypacific.com and selecting ‘redeem flights’ under the date and destination input, or by using Asia Miles’ own award booking engine – but there is little difference between using either one. 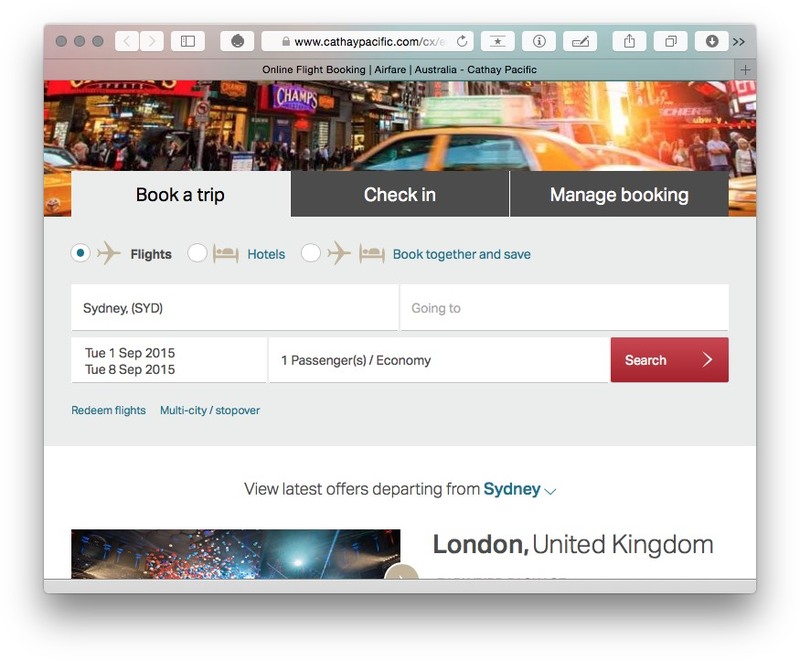 You can research and confirm availability online (for the airlines mentioned above), but you could also equally do that for most oneworld airlines using Qantas.com or the British Airways website, which are generally better to use and include more partners. You won’t be able to confirm Asia Miles pricing on those websites however. 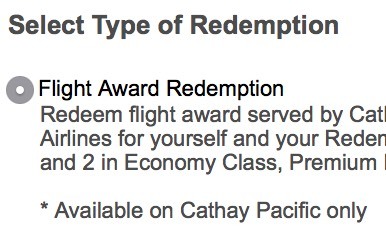 Using the Cathay Pacific website and starting here, you’ll be prompted to login, after which you can select ‘Flight Award Redemption’. However, you can’t get to the next screen, which calculates the total amount of miles needed and taxes payable, unless you have enough miles in your account to book. This can cause problems—more on this later—as the price on this screen may not be correct for multi-sector itineraries. Asia Miles pricing is based on the actual route being booked but note that during the search process point the LOWEST price for that specific route is displayed (e.g. for a direct flight), not the actual price of the flights available. This is a terrible piece of website programming – who wants to know what the lowest theoretical price would be for a flight that isn’t available? No-one. The prices showing here should be based on the actual flights found. This is very frustrating – you can’t be sure of pricing unless you go and calculate the exact routing distance and look up the Asia Miles award table. 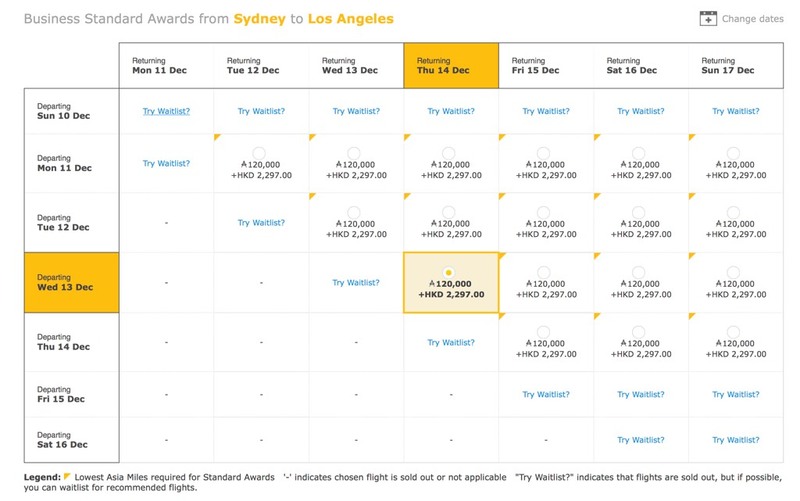 Here’s an example, this time using the award search function on the Asia Miles website, searching for a flight from Sydney to Los Angeles. I am explicitly wanting to travel with Qantas direct, instead of the long way with Cathay Pacific via Hong Kong. 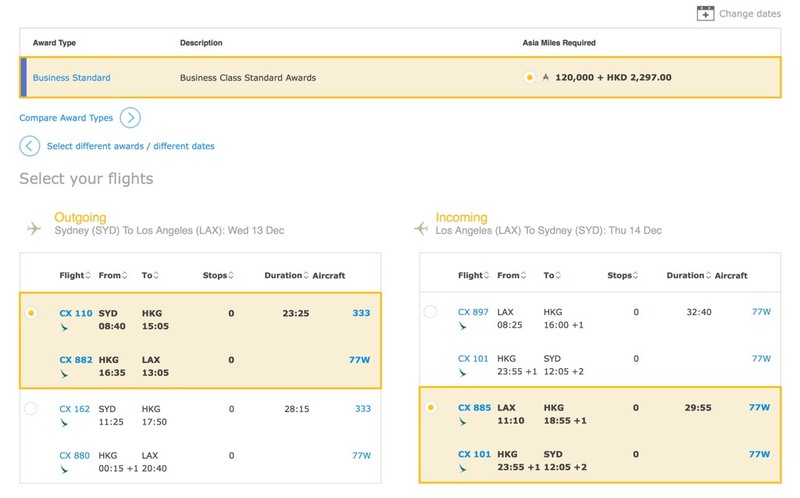 Pricing for Sydney – Los Angeles with Qantas should be 120,000 Asia Miles, but via Hong Kong, it’s 175,000 Asia Miles (both Business Class, return). It’s at this point, without the miles in your account, you can get no further. You are being quoted 120,000 Asia Miles and have no reason to think differently. And this is the crux of the issue – at this point I would make a transfer of my credit card points over to Asia Miles thinking I could make the booking (and have done so in the past). The price is different because of the greater distance required for Sydney – Hong Kong – Los Angeles vs Sydney – Los Angeles nonstrop—this takes the itinerary into a higher price band. If I had transferred my points to Asia Miles assuming I could book at the lower price level, and was out of points to transfer in my credit card account, I would now be stuck with a chunk of Asia Miles I couldn’t use – a big problem. Thankfully I had enough to top up to make the redemption. Bear this in mind when you do your own research! Do your own checks on pricing—either with the Asia Miles redemption calculator or by spending the time to call. You can research the cost of a flight in points using the calculator on the Asia Miles website if you are just after a comparison cost between different routings. Asia Miles award flight costs are calculated by assessing the routing you are taking, then summing the total distance (in miles) for that routing to compare against the award chart. I use the excellent gcmap.com tool for this. So, a flight from Sydney to New York via Hong Kong is 12,652 miles while a flight from Sydney to New York via Los Angeles is 9,963 miles. This is important as it means the distance-based chart is not priced between the origin and destination city directly, which makes it easy to get caught out when assessing pricing. Rather, It is based on the actual route you take. Given the likelihood you’ll be using Asia Miles for long-haul and return itineraries, it is very likely you’ll have intermediary cities on your itinerary where you could choose to stopover. Thankfully, Asia Miles allows this with both the Asia Miles award chart and oneworld multi-carrier award charts. The Member or the Nominee may make two stopovers, two transfers or one open-jaw at either the origin, en route or turnaround point on all airline partners except Air China and Iberia where no stopovers or open-jaws are permitted. If the open-jaw is at the origin, the Member or Nominee must return to the country of origin, though not necessarily to the same city. The Member must depart from the intermediate point on the next available connecting flight. For the purposes of this section, open-jaw means a flight itinerary where the departure city is different from the returning city, or alternatively, the destination city that a passenger arrives in is different from the one he/she returns from on the return portion of the trip. …The Member or Nominee can make a maximum of five stopovers (for a oneworld Multi-Carrier Award). In addition, two transfers and two open-jaws are permitted. A stopover is a stop of more than 24 hours. You get two stopovers on a return itinerary. So you could fly Auckland – Hong Kong, stopover, Hong Kong – London (your destination), then London – Doha (stopover), Doha – Auckland. And for the oneworld multi-carrier award you can have up to five stopovers, plus two transfers, plus two open jaws, which we explain in much more detail in the dedicated guide. In short – Asia Miles stopover rules are pretty liberal and you can use them to your advantage to craft a lengthier and more valuable itinerary if you can find the award availability to work for your plans. Getting your award tickets on hold without having the miles in your account is like the holy grail for flexible points program collectors – it allows you to hold and then transfer without worrying about risking your miles if seat availability dries up while the transfer takes place. Asia Miles allow award holds under certain circumstances, where you can keep points seats reserved, without the points in your account. Why is this useful? If you can get them to put an award on hold for you, it means you can make the transfer from your credit card points program (e.g. Membership Rewards) with minimised risk of the seats you were after being grabbed by someone else while you wait for the points to transfer. There doesn’t seem to be any other information online about this that I can find, so I thought I’d write up what I found after speaking with several phone agents trying to get to the bottom of this. In short, the agent I was talking to (without telling me about it) had put the award I was looking for on hold for me for nearly 3 weeks. On the last point, I checked when I got this itinerary and found that the British Airways seats had been taken out of award inventory and were not able to be booked any more, and I was just assuming that this was due to my hold and not that someone else had booked them. It took me around 5 days to get the additional miles over and then to call back Asia Miles to get this ticketed, and all has gone through successfully. 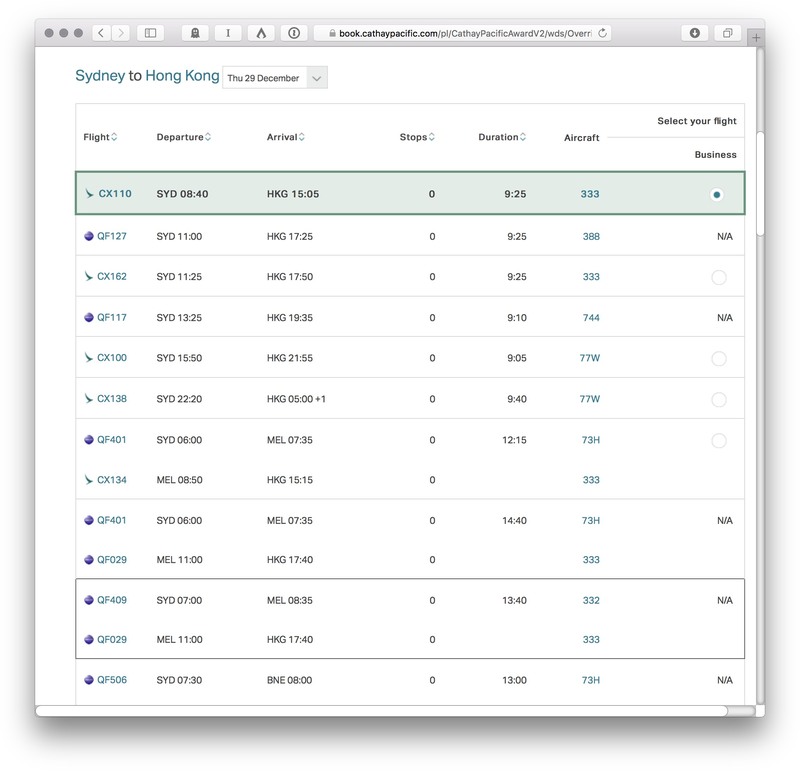 The Cathay Pacific website does offer a ticketing function for itineraries on hold but this seems to probably be limited to itineraries including Cathay Pacific only, as it wouldn’t work for me. I had just over half the number of points in my Asia Miles account needed for a business award flight (redemption booking). I spoke to two agents on the phone (Marco Polo Club service centre) and the official policy is they can only put award flights on hold if you have 70% of the required points in your account. However, on the second occasion, I persisted (only a little!) and the agent agreed to hold the award seat for one week (she even apologised for it not being a long time, since I am only 2½ weeks away from departure date). I then transferred my Amex points over and the ticket was issued a couple of days later. No idea if there’s any connection with being a Marco Polo Club member or if any Asia Miles member could request to hold an award booking. It doesn’t hurt to try anyway! Key takeaway: if you have any issues with your Asia Miles award booking such as long transfer times for points to arrive in your account or any other means to get them to consider putting your award on hold – request they do it. The worst that can happen is they say no, and you might save some sanity and get your seats held if it comes through. The Asia Miles call centre is a very hit and miss affair. If you do have issues with hold times, with the time difference to Hong Kong being usually 2 or 3 hours behind AEST, the best time to call is usually in the morning, where it’s much earlier in the day in Hong Kong. Hold times have always been much reduced when calling before 8am AEST, and the Asia Miles call centre is open 24/7. I think it’s usually best to be prepared to set aside an hour on the phone for any Asia Miles redemption enquiries. I had several occasions where the call centre staff could not see the intended redemption I wanted to make, but then asking them to search flight-by-flight then yielded a more positive outcome. Note that if you speak Cantonese or Mandarin, then choosing that option may reduce your wait time. I have transferred Asia Miles from American Express Membership Rewards countless times and expect 2 to 3 business days for the points to move between the two. The first time around, a spelling error crept into my name in my Asia Miles account and I didn’t notice. This caused a mismatch between my American Express Membership Rewards account and my Asia Miles frequent flyer account, which resulted in a 1 week delay with the transfer being rejected. This included the couple of days it took for American Express to re-credit the points that came back. The subsequent transfer I’d say took around 72 hours to go from Membership Rewards to Asia Miles, which is a little longer than I’d expect, and worth noting. So make sure all your account details on both sides are correct before making the transfer. 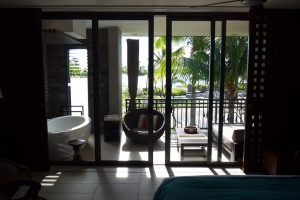 Most Asia Miles redemptions are painless once you have understood these quirks of how the program and their systems and agents work. There is excellent value to be had from Asia Miles, so it’s worth investing the time in understanding the program so you can capitalise on what they have to offer.